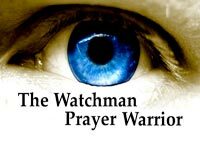 In this post I will talk about high level intercession for those called to be Watchmen. In my opinion, we are ALL called to intercede on our brothers and sisters behalf (1 Timothy 2:1-3) which is the base level of intercession that is mandated for all Christians. The Holy Spirit also makes intercession for us as well, through inner groanings that cannot be uttered (Romans 8:26). I believe that although there is that base level of intercession that we are all called to be doing, there is also that level where there are those called to high level intercession which I deem to be prophetic in nature. I believe that these prophetic intercessors are Watchmen. Jesus was the Greatest WATCHMAN that ever lived because His level of intercession didn’t just save a few people but saved and still saves ALL who come to believe in Him. Jesus still intercedes for us to this day and that is why I consider Him to be the Lead Intercessor of intercession (Romans 8:34; Hebrews 7:25). Jesus interceded for Peter when he was about to betray Him three times before He was crucified (Luke 22: 30-32), and also interceded for all mankind by what He did at Calvary. These are some of the reasons as to why Jesus is often referred to as the High Priest (Hebrews 6:20; Hebrews 8:1; Hebrews 9:11; Hebrews 10:21) and a Prophet in the Bible (Luke 24:19; John 6:14). Knowing these things will help you understand what it means to be a Watchman at the Gates. You must be asking yourself, Who are the Watchmen? They are those that operate in the prophetic anointing by calling. This calling is not a joke either. It’s a serious level that I discovered after reading the book of Ezekiel 33. 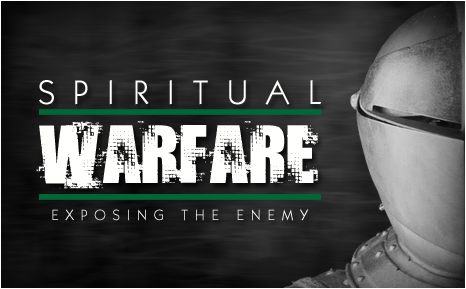 Not every intercessor is prophetic by calling but I do believe that intercessors at some levels can receive some level of the prophetic gifting from God as He also reveals to them the spiritual hindrances that they must battle; and identify or reveal those things that need to be taken down in the spirit for effective Spiritual Warfare on behalf of individuals and people in general. This is why God wants us to seek to prophesy out of all the giftings provided by the Holy Spirit (1 Corinthians 12:10; 1 Corinthians 14:1). As intercessors, there are different types of giftings an Intercessor may have according to the measure of their FAITH (Romans 12:6). Some may only have one of these spiritual gifts while others may have more than one; however, the point here is that as intercessors that we are all called to be, we should aim to be operating in at least one of these giftings provided by the Holy Spirit in order to be effective in our prayer life and in the Body of Christ. Ideally, I think we should be pursuing to operate in more than one gifting as we are all meant to increase in our Faith levels from strength to strength. All the giftings of the Holy Spirit must be in operation in EVERY CHURCH working in UNITY. I think that this is a very important point which I will explain, but for now I will list the types of giftings for a better understanding of what they are. 1. Word of Wisdom – (1 Corinthians 2:12-14) – this type of wisdom is higher than the human base level of understanding and is one required for spiritual warfare in terms of sharpened discernment that is provided through the workings of the Holy Spirit. 2. Word of Knowledge – definitely required in providing instruction and correction and can be a source of encouragement (Proverbs 19:27; Proverbs 22:12; Proverbs 23:12). 3. Faith – belief is a very powerful gift. 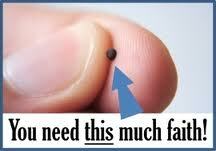 Having faith the size of a mustard seed can move a mountain (Matthew 17:20). Without it, it is impossible to please God. 4. Gifts of Healings – there will be those that will be able to heal people (Luke 22:51; Acts 9:32; Acts 8:7). 6. Gift of Prophecy – The future is revealed by the Lord and the Lord gives understanding of the present circumstances for early response to action. This gifting is highly emphasized as something Christians should pursue diligently out of all the gifts of the Spirit. [ Prophecy and Tongues ] Pursue love, and desire spiritual gifts, but especially that you may prophesy. 7. Discerning of spirits – definitely required in the healing & deliverance ministry and on a daily basis as well in regards to spiritual discernment. 8. Different kinds of tongues – these tongues are a language different from common speech because it is the Heavenly language spoken only through and by the Holy Spirit (Mark 16:17; Acts 2:3-4). 9. Interpretation of tongues – (1 Corinthians 14:5) I wish you all spoke with tongues, but even more that you prophesied; for[a] he who prophesies is greater than he who speaks with tongues, unless indeed he interprets, that the church may receive edification [Emphasis added]. There is a need for those to interpret the heavenly language of tongues so that if there are those prophesying in the gift of tongues from the Lord, then there are those available who are able to hear it and translate it to the Body of Christ in a common language that the congregation can understand which helps to edify the Body provided that they agree with what has been uttered. I believe that a Church operating at its OPTIMUM Level is one that encourages the usage of ALL these giftings of the Holy Spirit. Each person is given a measure according to their level of faith so it stands to reason that the higher the faith level the greater the gift and to much that is given, much is required (Luke 12:48). 1. Disobedience – There are believers who refuse to use their gifts in the Body of Christ for selfish reasons and also because of Fear. Look at the prophet Jonah and think of his price of Disobedience. He was swallowed by a great big fish (Jonah 1:17). In the same way…those that have the gifting but refuse to use it for the benefit of the Body…I fear to contemplate what reward they shall receive. 2. Jealousy – There are those in the Body who envy those operating in the gifts of the Holy Spirit and work hard at suppressing, frustrating and even prevent them that have a great gifting/anointing on their lives to fully realize their potential. People who do this don’t realize that they are actually hurting themselves by doing this since the purpose of people operating in the gifts is for the benefit of ALL (1 Corinthians 12:7). Those that frustrate the people operating under the anointing have to answer to God about that because that is a form of persecution. Those that are persecuted must forgive those who persecute them since this isn’t anything new but expected since the times of old (Matthew 5:11-12; Matthew 5:44; Matthew 23:34; Luke 11:49; Luke 21:12) . 3. Unbelief – There are those in the Body that do not believe in the workings of the Holy Spirit despite Jesus telling us that He would send us a HELPER (John 14:26; John 16:7). This level of Faithlessness denies who and what God is all about. Without Faith, it is impossible to please God (Hebrews 11:6). Intercessors can reach the prophetic level of intercession based on their cultivated relationship with God. I read something that made me freak out in the Book of Ezekiel 33 which is a chapter that I have read before but never really thought deeply about it even though I have read books on intercession. I feel like as if I’m revisiting my prayer book library since I’ve personally discovered that I don’t think I really know how to pray effectively as of yet after receiving revelation concerning prayer and fasting in my earlier posts but hey…I’m still a work in progress. The Watchmen are specifically the Prophets by calling and high level intercessors who operate with a measure of the prophetic gifting. The Prophet Ezekiel is an example of a Watchman and to understand what is required of them read Chapter 33. 1.) They are responsible for warning Gods people of any impending disaster or calamity that is to strike them and prepare for it (Ezekiel 33:3). 2.) 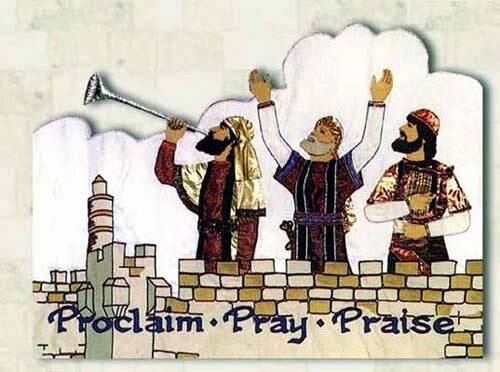 They sound the Trumpet and the Alarm (Ezekiel 33:4): That is the warning signal from the Watchman to bring to the attention to the people of God of the signs of trouble that they bare witness. Only God can reveal these events to the Watchman through revelation, signs, visions, or dreams (Ezekiel 33: 7). A literal Watchman in the Old Testament would be posted by the wall of the gates of a city in a high place looking afar to watch out for any signs of enemies invading their territory or any signs of trouble in order to warn the people to prepare to fight. In the same way, Prophets and Prophetic intercessors are Watchmen who operate in moreorless the same way in that they warn Gods people of impending danger from the enemy and also they warn those that operate in wickedness of Gods judgment against them as a consequence of their wickedness (Ezekiel 33:8). 3.) Those that heed the warning will be safe and those that ignore the warning of the Watchman will perish (Ezekiel 33:9). 4.) The Watchman that does not warn the people of impending attack from the enemy and/or judgment from the Lord will be held accountable to the Lord for their inaction (Ezekiel 33:6). That definitely sobered me up and scared the Hell out of me. It is NOT God’s will for the wicked to perish without fair warning and a probationary grace period to change their evil ways. It is not God’s will for a sinner to perish without that probationary grace period. It is not God’s will for people to succumb to the unprecedented attacks of the evil one without a fair warning to prepare against it, so the Watchman’s Duty is to inform the sinner of impending judgment (Ezekiel 33:11) and to warn the People of God to prepare against an attack from the Evil one. Understand that the Lord sets up these Watchmen to intercede on your behalf as mediators and they have the responsibility to plead your case before God so that you do not incur His Righteous Judgment. They must convince the Lord to change the Verdict from GUILTY to a stay of proceeding by providing a grant of MERCY. At the same time, much like in the courts of Law, God is a Just Judge and will give the reward of the wicked due to them for those that do not reform or change their ways. When people are sentenced to probation, that is a grace period to change their ways, but if they fail in that grace period…God in as much the same way as our worldly court system will pronounce and deliver His sentence by the time the verdict is in. 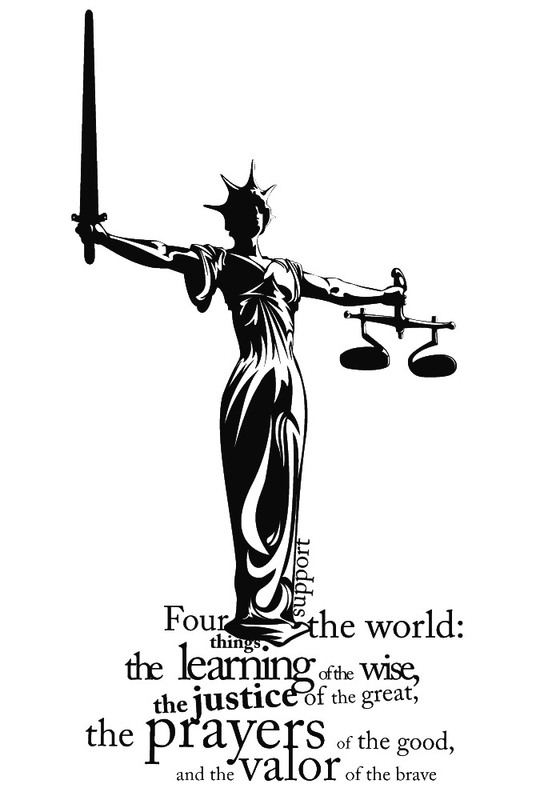 Watchmen are like Defense Lawyers and they watch over the souls of those awaiting sentencing and final verdicts pronounced in the court before a Judge. That is their intercessory role on behalf of the People of God and of people who do not know God. So take heed and listen to the Watchmen, for they play a very important role in the Body of Christ. Can you imagine going to court and having no Defense lawyer represent your case? You will be left to defend your actions against the Prosecutor (the Devil; The accuser of the brethren Rev 12:10) and present your case in front of the Judge (God)…. In the same way, the Church needs to have people operating in the gifts of the Holy Spirit; specifically those who are Prophets by calling and Prophetic Intercessors operating with a measure of the Holy Spirit gifting of Prophecy since they play a major role of edifying and strengthening the Church. This is not to say that Prophets are the most important members of a Church body because…I think every gift is required for the Body of Christ to thrive. That’s why Prophets are placed second to Apostles because they must submit by the order of things in terms of the Five-Fold ministry. Let me emphasize that everyone is important to the Body of Christ and everyone should seek to prophesy out of all the giftings of the Holy Spirit since ALL of us are called to INTERCEDE. It is not God’s will that any should perish but have everlasting life (John 3:16; John 3:36). Well, these are my current thoughts regarding the Watchman. I obviously need to read a bit more regarding them, but this is what I will share concerning them for now. I don’t mind if people have thoughts regarding this topic. Feel free to comment below. I like gathering people’s input and remember I’m not a pro on this subject either…a lot of this is based on what I’ve read in my Bible and my opinions are on a basis of what I’m currently thinking right now. Thank you so much I do believe I have been called to be a watchman , &I am blessed to be in a church The Kings Harvest Foursquare in Terre Haute Indiana who does believe in working in the git’s of the Spirit . Thanks for dropping by my blog Mary. I will pray for both you and your husband. Keep fighting to good fight of faith. God Bless 😀 ! Thanks PJ. I’m still learning and meditating. I know now that there’s so much I don’t know. Pretty scary when I think about it. You’re right in that people fear the book of Revelations but I think it’s for the wrong reasons. It is one of the Books that really should be read because it has so many interesting things revealed. I think I need to revisit that book now that you mention it. We fear what we don’t know, so it’s better to know in my opinion. Why walk in the shadow of ignorance when we can harness the truth by reading about it. People’s fears are misplaced and that’s why we must learn the Word for ourselves in order to escape laying in the dark. Darkness = ignorance so let’s shed Light to what is wrapped in darkness since Light uncovers truth and = revelation that leads to freedom and strength and power. You hit the nail on the head with that one.I believe I may read it as well, Lately I bn having a lot of things on my mind and dealing with a lot.I know the best place to go with my problems is to GOD word. How did a post like this turn into a discussion about Revelations? One should be excited about it because of what is stated in Rev 1:3. That’s not my comment. I wanted to say that Prophets are the mouthpiece of God. They shift things in the spirit realm. If you, for example, keep experience breakdowns every time you’re about to reach a breakthrough point in your life, you need to see a prophet. They also give direction, so if you don’t know what His Majesty has planned for your life, a prophet will tell you. The Apostle is able to operate in all of the other 4 offices. Though gifts are different from offices. Sounds like I should do a post about this. What do you think, Nyasha? I was also thinking of doing a post called, “Prayer Attorney: pleading your case before the Judge.” What are your thoughts about that? Remember that Prophets are not always well received in their own country sometimes despite (1 Chronicles 16:22; Psalm 105:15). Also understand that there a different kinds of prophets too, but I agree about what you’ve said in terms of their purpose in the church. I think you should totally go for it Tarisai. I can’t wait to read what you’ve got. The other Scripture you hadn’t mentioned was Matt 13:57. Why then do you say there is lot for you to learn if there is a lot you already know? Why not do a part 2 of this post and include what you just mentioned concerning the different kinds of prophets and more? Oh boy, I can’t wait for this! Do you have a post on developing sensitivity in the Spirit? That is what I want more of? God gives me dreams all of the time. He lets me see what is about to happen so I can warn or exhort people. There is a great price to pay, you must die to self daily, deal with rejection. But it is worth the price of knowing him I thank God for the beauty and simplicity that you write with. He has given that to you. Dont change a thing. I have learned so much from you. May our Lord Jesus continue to be Glorieied. I believe that developing sensitivity to the Holy Spirit is tied to operating in obedience to the Holy Spirit. The more you obey the Holy Spirit, the more sensitive you will become in doing what God has called you to do and to perform in His perfect will for your life. You have to be willing to take risks in order to operate in that level of sensitivity. Taking risks can only happen when you Fear God more than man’s opinion. You have to assess your threshold and consider and weigh out how much do you Fear God? That is a personal question that only you can answer and you will find out what that is after you have measure how far you have come and this will help you see how far you need to go and work on. Be encouraged and understand that the way God speaks to you whether it be by visions or dreams or other means, that level of sensitivity is cultivated based on how you respond to Him when He calls you and by how obedient you are in your response to Him when you do respond. I hope that makes sense? Lol Tarisai, no pressure. I stated that there are different kinds as a generalization because each one if you look in the old testatment served a different purpose but their functions was pretty much the same in that they were God’s mouthpiece used for the 2 Timothy 3:16 purpose for God’s people. I’m still learning about all this so I’ll get back to you on this one. Still learning and absorbing as I go. And actually you’re right about the Matthew 13:57 Scripture. I was looking for that one specifically but couldn’t remember where it was so thank you for mentioning it. Well when the time comes for the post to be put together, the thing I thought you should know is that the OT prophets reiterated the law to Israel. The best way to understand them, both major and minor prophets (minor in the sense that their books are short) is by first understanding the laws of Moses! Secondly you will need to learn more about Hebrew poetry. Some prophecies may seem confusing due to the layout in the presentation. The other problem is the splitting of the paragraphs in some translations. You might think that a particular prophecy ends with the one paragraph but that is just how the stanza for Hebrew poetry is done. That may confuse people in addition to the fact that some prophecies start in some chapters and end in other ones! Also, on a side note, it seems to me that you have some sort of theological background with they way you reply and with the posts you put up. I don’t have any theological training so I wouldn’t know all the stuff you just mentioned. Would love to pursue theology in the future to understand more, God willing. 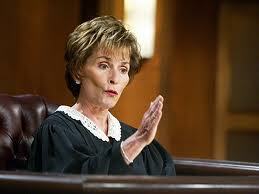 I still think you should do that post about the “Prayer Attorney: pleading your case before the Judge. “. I wanna read that one. This is stayuponthesummit, this is to reply to nightshade130 response Feb 4th 2014 to being sensitive to the Holy Spirit, I am in awe of how the Holy Spirit is using you. You are a young woman, but I can surely see the acceleration of the knowledge of God through your words, surely an indication of the times we are in. Knowledge will increase, technically, but so will the spiritual. I thank God for using you to minister that word to me, there was no where for me to comment. So I have to use this area. I am not trying to lift you up, but I can see the Grace of God. My desire is to be an “Unquenchable Worshipper”. I will never be satisfied with my spiritual life, this side of Heaven. Continue to allow the Holy Spirit to speak through you in these times to challenge his people to be elevated in the Spirit. I have always been a risk taker, even in the world, it was the predestination of God that kept me alive. But I don’t have a problem at all stepping out in the spirit as long as it is orderly, must keep the protocol of the house. What you said regarding sensitivity makes perfect sense. Continue to keep your ear at the Mouth of God. Also what are your thoughts on Prophetic Burdens? Just like every burden, God doesn’t give us something that we can’t carry, this also includes the prophetic. The burden any person carries is dependent on the weight of what they can bear. The further you walk with the Lord, the stronger you become, and the heavier the burden you can carry. The one thing about burdens is that, you are never carrying the burden of the weight alone, because Jesus sent us the Helper who is the Holy Spirit. If anything, we should pursue to become stronger in order to carry heavier burdens of the prophetic in order for God’s will to be realized throughout the world. If Jesus carried the cross, and we cannot carry our own…then just like with the prophetic, you must learn what it takes to carry your own cross by increasing your level of intimacy with the Father. I hope what I’m saying makes sense to you. This is my own personal opinion regarding your question. I like your pursuit of being an “Unquenchable Worshipper”. May God continue to stir up the gift of worship in your soul so that it reaches great heights and lengths from the east to the west and from the north unto the south. Live faith dauntlessly. This is regarding your thoughts on prophetic burdens. Well Said. Amen! Great Post. I am an intercessor at my Church and this post has helped me to kick it up a notch or two. Thanks. Hi Sherline, thank you for this post. I truly believe that the gift of Prophecy is God given and carries along with it a lot of responsibility and as you have mentioned both in ur comment above and in pt # 4, a lot of persecution.I have learnt that in a way it keeps the prophet humble and dependent on God but with it also comes an alienation from the world in order to pursue the higher calling.I love time with the Lord but the loneliness of the prophet often troubles me.Even when surrounded by a crowd of friends we often speak with an urgency/authority that many dont understand and wonder why all we talk ends up about Jesus.And sometimes they listen but its as if I am talking another language and its something that excites me but not them.Do you have any suggestions as to how we can maintain a healthy balance between being separated for the Lord and yet available in the world? Thanks SparkyLaurie for your comments and question. I will try to answer it to the best of my knowledge and ability since I`m still learning about all this just to state that for the record. It is true that the unwanted package of being a prophet is that level of alienation that comes with the responsibility of dealing with that calling that often times feels like a heavy weight and burden placed on your shoulders. That burden comes from being spiritually sensitive to the Lord in your walk which cannot be turned off like and on and off button. Not everyone is going to appreciate a prophets calling simply because they don`t understand the magnitude of the call and neither do they understand what their purpose is in the body which is why I started off with this topic of the watchman to begin with. This is the reason why they are easily misunderstood and feared by the masses because of how people misunderstand their role within the body. I would recommend reading this book that I read regarding that by R. Loren Sandford called “Understanding Prophetic People”. – Blessings and Problems with the Prophetic Gift. He addresses all of this including your question in this book. Your question regarding “maintaining a balance between being separated for the Lord and yet being available in the world” – my answer to that would be that you pray for wisdom from the Lord to guide your conversations and speak to people at their level of understanding so that they can understand you at your level. This is why when I write my posts, I don’t like using fancy words and theological terminology all the time because in a way, we also do the same thing in that we inadvertently alienate people from understanding us as well when we talk in ways that they don’t understand. Things of the Spirit can only be received by they Spirit and so if you are talking to someone who is not saved, it is best to speak to them at their level so that they understand what you mean when you start to talk about Jesus. You can use analogies and analogies are like parables in the days of Jesus. Jesus spoke to the people in a language that they understood so that they could understand what he was talking about when he was teaching people “Character building” principles in order to cultivate humility. This is something I have discovered recently. I hope this answers your question. Hi Sherline thanks for that detailed reply and I love the clarity with which you write! Will try and look up the book you mentioned.I felt a bit of relief as I read your reply for my evangelistic efforts have been similar to the one you just mentioned, I try to keep it interesting but Bible based.My probs in the past have been with senior believers who have made me feel condemned for “thinking out of the box “. I try to be more accepting of others coz of the pain Ive encountered esply from spiritual people. However oft late Im faced with a new dilemma I just realized that the world often mistakes goodness for weakness.I then wonder, why bother at all. We can sit comfy and lead our lives but isnt that getting compacent?I want to be up and about helping the needy and feeding the hungry but I dont want to be taken advantage of.Any ideas how to deal with this? Thanks for your kind comments yet again and your question. Again, I will answer according to the best of my ability. I understand what you mean when it comes to senior believers misunderstanding or condemning your efforts as an evangelist. I think that even in my walk I have encountered similar experiences that have wounded me and also made be feel a level of apathy and frustration for my own efforts to spread the Word, but then again, you must understand that when you are doing things for the LORD, you are coming against several spirits. To name a few, you are coming against the “spirit of UNBELIEF” and a “spirit of RELIGION”. Such spirits operate in both non-believers and so-called believers (who lack a measure of faith) and is a type of hindrance that you need to pray against if you want to evangelize effectively. They manifest in different ways/methods (such as the “condemnation” you mentioned earlier; which is a form of persecution) for the soul purpose of preventing those of FAITH from effective evangelism. The whole agenda here is to thwart you and discourage you from continuing to share your Faith with others which is understandable as to why you feel like you don’t want to be taken advantaged of anymore. However, don’t stop pursuing purpose and don’t let such hurtful experiences prevent you from doing what God is calling you to do. If you do that, then the Devil has already won this battle. “You will know when what you’re doing is working when the Devil is angry enough to send people to hit you with discouragement to stop you doing what you’re already doing”. You are NOT weak just because you have FAITH. Those that condemn your efforts need to seriously do a mirror check and measure their cup of Faith before they criticize you. If they don’t even have a mustard seed level of Faith, then they have to check themselves. Unfortunately, this is something that we all encounter in our lives when we do things for the Lord. You will experience some level of persecution in your life which is all part of the walk to increase your level of faith and often times it will unfortunately originate from the Body of Christ. Despite that, you have to rise above that and be an over-comer and FEAR the Lord more than what these people do, because in the end God isn’t looking at what those other people did against you, He will question our actions and ask us why we didn’t do what we were supposed to do? We can’t let the Devil prevent our ministries is what I’m getting at here. I encourage you to continue evangelizing and also to understand that when you come against these types of attacks from people whether they are believers or non-believers, remember that you do not wrestle against flesh and blood, but against principalities, against powers, against the rulers of the darkness of this age, against spiritual hosts of wickedness in the heavenly places (Ephesians 6:12). Understand the assignment, pray for divine wisdom when dealing with such people, seek to sharpen your discernment so that you can recognize those that are for you and those against you, ask God to give you direction when you go about His business. Remain FOCUSED on the GOAL and RECOGNIZE the assignment against it. Remember that you are not alone and that you need to seek the Holy Spirit for answers to help guide you to pray and evangelize effectively because it is not by Might, nor by Power but by HIS Spirit (Zechariah 4:6). I suggest that before you go out and evangelize, anoint yourself with olive oil and pray to God to allow the Holy Spirit to help prepare the people you are about to evangelize to, to be receptive of the Word that you will share. Seek God first in prayer and watch Him move miraculously in your ministry. PS: Since you are so good at this,you can expect more queries from me in future! ;) Take care,God bless! I will immediately take hold of your rss feed as I can not find your e-mail subscription link or newsletter service. Do you have any? Please allow me know in order that I may subscribe. Thanks. I have a question for you. It says that the watchman is up on the wall or up in the tower, he has to be elevated in the natural to be able to see along the horizon. What is the spiritual counterpart to this. How is the spiritual watchman elevated to “see” into the spirit? I know we “seated” in heavenly places in Christ Jesus. I know that is our position in Christ. Is this the wall, or the tower? I get dreams all of the time about people. What is about to happen to them. Spiritual assignments against them. Thank you for your answer and clarification on this matter. 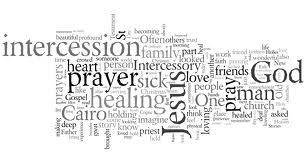 I want to share a letter with you that I had to tell someone about what intercessory prayer is. I am sorry I don’t know your name, but I wanted to tell you that I will not be available to participate in your skit. Last Wednesday when you approached me, I hurriedly said yes without seeking God, but in my spirit was a check. After last Sunday when I said I would be back the following Sunday, I did listen to what the Holy Spirit said to me. I left before I could talk to you. I thought you would call me. Intercessory prayer is a foundational ministry in the church, that means that it is hidden, just like the foundation of a building everyone will not always be aware of what you are doing. It is to be done in secret. God will reward me, I am not to draw any attention to myself regarding it, if I do then that is the reward I will have. The recognition of men is not what God wants for me. I want to please God and not man. I am not to bring attention to a man, a ministry, or a personality. No flesh will glory in the sight of God. And besides it will cultivate an environment of competition between ministries in the church. Being an intercessor is like being a secret agent. It is nameless, faceless and solitary. Now if you were set in that position by your Leaders under the direction of the Holy Spirit, then be faithful. God has never needed a lot of people to get things done, he has always used a remnant to accomplish his purposes. Be faithful, if no one comes to prayer you be there and war. God looks at faithfulness, promotion comes from him. God sees everything we do and the spirit that we do it in. Do everything as unto the Lord, looking to bless him. Stay on your post woman of God. He will communicate your faithfulness to your leaders, they are praying for all of the ministries at Vision and he will show them your dedication to the ministry. Stay on your post woman of God. He will send people in to help bear the load of prayer. God will fight all of your battles as you fight for others. He will show you the changes in the lives of the people as you faithfully pray for them in secret. As we spend time before the Lord in prayer he will show us what’s up. Don’t ever be tempted to showcase what you are doing it will steal the rewards God has for you. Be encouraged woman of God. Please forgive me for being a part of this, but it is better to obey God than man. 28You shall also decide and decree a thing, and it shall be established for you; and the light [of God’s favor] shall shine upon your ways. 29When they make [you] low, you will say, [There is] a lifting up; and the humble person He lifts up and saves. In the days of old, the watchmen stood in towers and high walls but what of the present day watchmen?Where do they stand in the Body of Christ? What I will say is based on my understanding of the watchmen and will base my response entirely from my own opinion. I believe that watchmen operate prophetically in our present day church bodies and a remnant of them are in our churches; however, the question is, how many churches recieve them to this day? who will heed to the voice of prophecy with an open ear? Can the church discern who is prophetic and who is not? The voice of prophecy has been one that I find the enemy has been relentlessly trying to shut down by instilling fear against them due to the rise of false prophets, but I decree and declare not over Jesus’ resurrected body will the voice of the Prophetic watchmen and women of God be shut down. The voice of the prophets of God will rise for the will of God demands for it because the time is coming to bring order into the house of God. The current watchmen are in the pews, some are hidden among the members the body of Christ and some have been placed upon their appointed platforms and yet they all remain in full watch within their churches in regards to the seasons and the times regardless of whether they are accepted by men or not because watchmen only respond to the will of God and not to the will of men which maybe hard for people to understand. They do not speak as mere men speak, for they only repeat what they hear the Father say. Their main objective is to sharpen their ears to hear what the Spirit of the Lord is saying to the Churches and they only speak when God wills for them to speak. That is when they utter warnings or words of exhortation in order to strengthen or give guidance into the new season that the Church will step into. That is their purpose. Thanks for visiting my blog and have a blessed day. Thank you Woman of God for your clarification. Your response really blessed me. I am truly encouraged to continue on with the Lord. A “True Prophetic” voice will not be caught up with the status quo of today, but will be able to discern deceiving trends and patterns that are creeping into the church today. I will continue to pray, and believe God that he will open my ear and seal his instruction open my heart. It is so refreshing to hear a voice with maturity and sincerity. Go on woman of God! Ascend in Worship, Descend in War!!!! Amen and May God bless you on your journey to fulfill God’s will over your life! When a true prophet of God speaks a word to you it is in seed form. It is planted into your spirit. 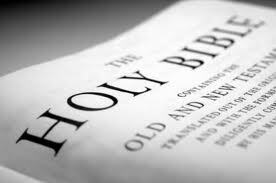 Just like God planted the word of God into the Virgin Mary and it became flesh ( Jesus). The word of the Prophet will become flesh in due season. It will bring forth the will of God. It will not return void, powerless, or ineffective. But it will accomplish what it was sent for and will please God. Like seed it will come forth under the right conditions. Like seed in the natural, it takes time, heat/sunlight/moisture and the pressure and resistance of the soil to break forth. (We need resistance) It is progressive, first the blade and then the ear, then the full corn shall appear. It will come forth because the zeal of the lord for our lives in Him will accomplish this. God is the God of Life. Sometimes it seems like the dreams and goals we had in our hearts have died. Sometimes God allows these things to die within us because he knows what he is going to do for His Glory. 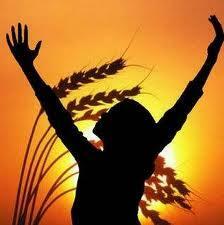 Unless a grain of wheat falls into the earth and dies, it remains alone; but if it dies, it bears much fruit. Sometimes we think it is us making things happen, we forget. He is the Resurrection and the Life. He will resurrect the dreams, ministries and goals that He has put in your life. A true prophetic word will always produce life. Even in seed form it is powerful enough to sustain your hope and faith for years. It will minister to your spirit and not to your flesh. A true prophetic word will speak to what is deep in you. Deep calls unto deep. That word will come from a deep part of that prophet’s life, because he would have had to pay the price for that anointing, the isolation, rejection and persecution from others will drive him to stay before God. Only from a place of depth within that person’s life can they speak word that will touch a place of depth in someone else. It will speak to the questions in your heart, things you have not shared with anyone. It will speak to the doubts and questions that arise because sometimes, time itself can be an enemy to you because what you have wanted to happen has not happened yet. We forget that God makes everything beautiful in His time. A prophetic word will not speak to your flesh with its lusts and desires but to the part of you that has been crying out to God. We must desire and follow after truth and all truth is in Jesus. A seed will perform a supernatural instruction to come forth in due season. We have the word God (LOGOS) the seed of God, but sometimes because you have been crying out he will send someone with a (RHEMA) word to encourage you. That is what a true prophetic word will do in the life of a believer. Stay on your post, watch, pray and see what he will say to you. Remember God has the final word over your life. Thank you Hazel for this amazing word of exhortation and encouragement. I do believe that God has the final word over my life and I thank you for this reminder. Your words are very timely. Bless you woman of God. 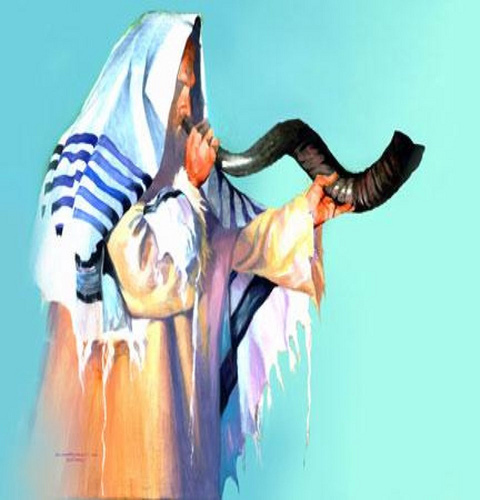 As a spirirtual “Issachar” what spiritual time is it? I see this as a time not to be secure in anything but the rock of Jesus Christ. Anything else that we put our hope in will surely sink. There is a word going forth in the Church that is putting people to sleep. That All is well. It’s your time, it’s your season. People are being instructed to look at themselves and only what is going on in their life. The enemy has subtly crept in with a doctrine of demons getting the people of God to look at thems selves, the deification of self whick is Idolarty. Worshipping things that are created instead of the creator who is blessed forever more. Indeed Sis, we cannot underestimate the plans of our enemy. God is calling forth a consecrated peoples. Those that do not need a platform or a “high status” to be obedient to His Will. Yes, there is a blessing factor attached to those that remain obedient, and that blessing is called divine “favor” of the Lord; However, the time is coming where there will be a great schism….a mass separation of the sheep from the goats and an exposure of those that are wolves in sheeps clothing. What remained hidden in darkness…the light that shines through God’s servants shall expose that which tries to hide and will tremble at the voice of God. God will make a distinction of His obedient servants and will elevate them as He so pleases in the same way He distinguished David from Saul. Saul was an idolator in that he preferred to please people more than God. God will elevate the David generation that will worship the Lord in Spirit and in Truth. The dethroning of the Saul-like spirited people will recognize the favor that rests on the Davids of this generation. Whom God Blesses, No man can curse! The David generation will bring the peoples attention to focus their hearts on the Father and that is why the war is on to subdue the Davids that the Lord has selected. “Many are called but few are chosen”, says the Lord. The time is coming where the Davids will emerge from their caves and take their rightful places, so be encouraged that though the vision tarries, God’s Will will be established in this season and in the next. I will feast upon this for some time. This is so right on. I thank God for the “Well of Refreshing” that he uses you. That word is straight from the heart of God. Yes you can feel it. God’s prophetic people will be able to distinguish the real from the counterfeit. I have been going over Matthew 24 and 25. And Luke 21. Jesus told us from the beginning to make sure we are not deceived. And we must walk close to the Holy Spirit as never before. I thank you for the word. Because sometimes you get weary hearing all of the stuff that some wolves in sheep’s clothing. They are singing a special song to those who have itching ears. I know God has a remnant who are watching and waiting. A people who have an unquenchable thirst and a white hot love for him. Be encouraged. Sound the alarm. Jesus said I came not to bring peace but a sword> Who is on the Lord’s side. let him come. Amen Sis, Amen. God Be Praised! Let us hold the Sword firmly in Jesus Name, Amen. I have not written in for a while. But let me tell you something. Today is October 15th 2014. Two days ago, I got an email from this thread. Other people replying to your original post. I have not been getting emails, its been a long time since I have communicated with you. I believe that God sent this to remind me to continue to keep watch. In this dream I was standing on the roof of a house, I was looking into the distance and I saw a creature coming toward this house. This creature looked like a very large crocodile (Leviathan?) but what I could clearly see was the intent of the creature to get inside of this house and destroy the people in it. I was trying to warn these two women inside (who I know personally) that something was coming but they would not listen to me. In another room was a woman from my church (who I know personally) She is an Evangelist and she was in front of a radio. What was clear in the dream that she had the radio on the “right frequency” and tuned on the “right channel” I could hear her talking but could not make out the words. She was getting instructions on what to do. She had connected to the Holy Spirit. Then I woke up. Your thoughts on the dream are welcomed. sorry for the late reply. I just felt like I needed to pray before I reply. From what I can see about your dream, the creature you describe could be leviathan. In the book of Isaiah 27:1 it says: In that day the Lord with His severe sword, great and strong, Will punish Leviathan the fleeing serpent, Leviathan that twisted serpent; And He will slay the reptile that is in the sea. In this case though, the serpent or crocodile/reptile=like creature you see appears to by flying towards the house to harm those inside it. A serpent is described in the Bible as a deceiving creature and in this case, you have been shown that the attack is to destroy those who are sheltered by the TRUTH (which is the house you are standing on) by using a great deception of some sort. If in the dream you forewarned the intended targets (the two women that you know) of this attack and they failed to listen, it could mean that despite the covering, they will succumb to the attack since they are deaf to the watchman’s call/warning. The Evangelist however, is spiritually alert and has received instruction on how to overcome this situation. If the two ladies failed to listen to you, then it could be that they will listen to the Evangelist. This dream is indeed one to sharpen your discernment about an event that is to take place soon and also I classify this to be an intercessory dream. You must pay attention to the Evangelist during this season, because she is hearing from God at the “right frequency” as you said. You will hear and God will give you counsel through the evangelist on how to deal with this situation. It maybe that the Evangelist is the key in dealing with this situation. I hope this interpretation helps somewhat. Let me know if it doesn’t make sense to you. This has brought new insight to me as well, however as a watchman im also growing inprogressive revelation. Strive towards being a faithfull watcher or seer. As youve said: it is essential to take note of our exhortations. However it is a reality, the people are intimadated by those who are opperating powerfully in the gifts of the Spirit and dont know its to their benefits as well. Hence the opperating of the Spirit/ Ruwach of God edifies and equipting the saints for the works of ministry. I am awaiting the manefatstion of God for a great wacth tower! God bless your ministry….awaiting your reply. Thanks Yolanda for your response. it is true that there will be those intimidated by those who have the gift of the prophet, but regardless of people’s fears, the prophet/ess must always move by the Spirit of God and fear God more than man and at the same time operate in humility. People in general get too caught up with the “Gift” that they forget the purpose of that gift which is what you rightly point out. God edifies His Church through His servants who operate in any of the giftings of the 5-fold ministry. As a watchwoman, my focus is on my ministry and working it out with much reverential fear and trembling. God will do amazing things through his people who are called by name to fulfill His Will and His Purpose. Thank you for your obedience towards the Spirit of God. I can learn alot from you sis, you are a woman of wisdom. I am also starting to focus on my ministry strongly as an intercessor this season in order to rise strong prophetic watch towers. I am asking your help by fowarding me your knowledge and decernment according my ministry. I am situated in Capetown South Africa, want to link up with a prophetic school network. If the Ruwach of God stirr u your spirit to be off help, i would realy be greatful. In fact im buzy with writtings, about to release my first book “My walk with God”. God bless you warrior of God! I salute u in acknowledging ur great gift! God Bless you in your ministry, I still consider myself a work in progress in my ministry. even in operation in the gift I feel like I’m still working on it. If you have any questions, you can always email me or ask me here and I’ll try to answer to the best of my knowledge and abilities. God bless you on your book project. Hope you slept well? Sherline it is a pleasure to speak to you my sis. Just pop in to say have a wonderful weekend and yes my book is at the editor I trust God for printers, dustributers! 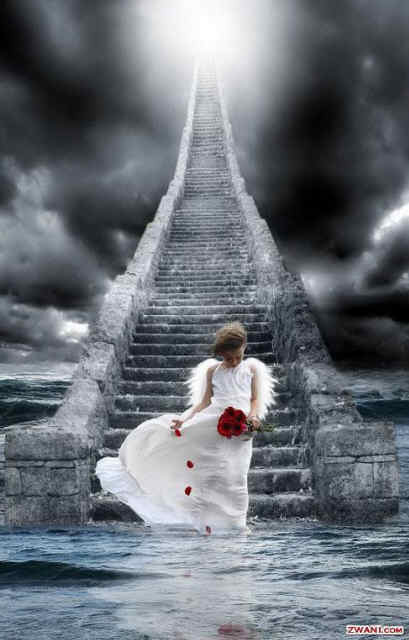 Ive dicovered new abilities and levels of intercession as i advance in seasons….wow and its awesome. Im really focussing on alignments with a company of watchmans. Pray on this for me pls. Im pitisioning a spiritual map for my region, hope its the right thing? However I like your humilty. God honors the humble. God bless you my sis. Believe me my sister, God will align you with the right watchmen in your network. I challenge you to not just think locally either, but globally. God is expanding people’s territories this year so believe that He has already provided and it is done. Great things are going to manifest and it’s people like you who step out and do something by faith that will see impossible things happen like seeing a river run through a dessert. (Isaiah 43:18-20). God is doing a new thing. Stay blessed and Highly favored of the Lord. Pursue increase and He will double that which you expected. That is my prayer of blessing for you. Great stuff you have hear my sister.I was given a word a month ago that i have a gift of intercession and Googled to know more and was led to this page by the Holy Spirit id like to believe.Having read through your blog and the comments i have gained a lot of knowledge and i hope i will continue to grow in my gift and use it in our nation as well as to the nations of the world.Oh by the way you are a sister also being from Zimbabwe,i wish people from our country knew that there is such an anointed woman of God out there holding it down for Zimbabwe.May the good Lord continue to give you wisdom to share with the world. Please email me on (zwelithinincube@gmail.com) if you have more notes you would like to share that can help me grow in my gift.May God Bless you mightily.. Thanks for your encouraging words. 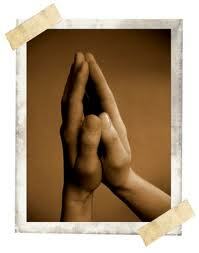 It is truly a blessing to know that there are other intercessors out there. One thing as intercessors in the Lord that we must not forget is that we must continuously grow in our gifting and learn more from what others have done to be powerful in the gift. This means increasing knowledge and reading books about intercession and also being aware at all times of daily and current affairs. When you know the governing spirit that is attacking or ruling the land or your people, you will know how to pray effectively against that spirit or spirits. Also, we must always remember the great intercessor that fights for us, our Lord Jesus Christ. We put Him in the forefront of intercession, and every battle with Him in it is assured victory in Jesus. Stay blessed and keep the faith alive! Thank you for writing this post. I know it was written some time ago, but it is still very relevant given the fact that the Lord has been dealing with me on this matter for SOME time. Like Jonah, I have been disobedient and running from God. One time I did some research and looked deeper into the calling. After doing some reading and meditating on the word (Ezekiel 33 particularly) I finally came into a state of submission and said, “Okay God. I’m here, I’ll do whatever it takes.” But I never actually did anything. I went back to doing nothing. I wondered how can I devote my life to prayer? This is not just a “seasonal” job…it will take a LIFETIME. I will have no outside life. I am forever called to WAIT, WATCH and PRAY. I just didn’t know if I was cut out for it. If I could make that sacrifice. I’m sort of reluctant to say…but for as long as I can remember I’ve been a dreamer. I see things as if I am really there. When I’m asleep and dreaming, I can see people doing things, having conversations, I can feel their emotions….it’s as if I AM them. I become them. It depends though. Sometimes I am them, other times I’m strategically placed around them and I can see what they’re doing like I mentioned earlier. I see things happen to people and I wake up fearful for them. Often time I see people trying to do things to me, like laying traps or working iniquity. Even people that I meet once or twice or see in a public place or people I’ve never met in my entire life, I don’t know their names or where they live. I only know that they’re going through. I’ve asked people do they dream like this. Have they ever dreamed they were someone else. The answer always comes back “no”. When I have these dreams I tell my Husband about them, because he’s the only one who understands. A short while later the very thing I mentioned to him will come to pass or would be confirmed by our Pastor while he’s preaching and I KNOW I never mentioned anything to anyone else besides my Husband. Honestly, I don’t pray like I’m supposed to. I know I should pray more, I can even feel a pull to pray but given my home life and situation (which is another story) I’m always tired, drained, or doing SOMETHING with my kids around the house. I know its a spiritual attack mainly setup to keep me from having a prayer life, but I’ve just “let it ride”. So now, the Lord is dealing with me again and I feel such a responsibility that I can’t just do NOTHING anymore. Reading your post has brought a lot of insight and confirmation of things the Lord has been dealing with me on. I just wanted to say thanks. May God help you to increase and enhance your prayer life. The way I see it, it’s great to have a prayer closet (ideally), however, prayer can be done anywhere at any time including while you are doing other tasks. We serve a limitless God that can hear us anytime (and I mean anytime) we call Him. So when you pray consider it as having a conversation with a friend. You can pray anywhere regardless of all the distractions you have in your day. As for your dreams, I experience similar things as well. Sometimes I feel disturbed by them and other times I see that what I’m seeing is foreshadowing an event that is about to occur. It’s a gift and even though this gift sometimes disturbs me when I see things I do not want to see, it is sometimes necessary to see in order to pray and intercede effectively if the message serves as a warning. That is the role of being an intercessor. God gives us intel on events that can be avoided of we humble ourselves and pray. You have a wonderful gift, you are definetly called to intercede, be obedient, it could mean life or death. Obediently pray for those God shows you. Stand in the gap for them. When you pray secretly God will reward you openly. It is an honor to be called as a Watchman and certainly a price to pay but it is well worth it. I too am a Dreamer for years I did not understand because I had no teaching in this area. I would see things that people were doing or I would see what was about to happen. not in symbols but live a movie picture. He would allow me to go to the people and tell them what I saw even though I may not have understood what I was seeing, they knew what I was talking about. It was a way of revealing the sin in their lives and God was giving them a chance to repent. He is so merciful. Treasure what he has given you and be faithful. Thank you sister for your encouraging words. My eyes are wide open, my ears are sharp to hear whatever the Lords wants to reveal in due season. I will continue to keep the faith and press on forward towards the goal seeking to do the Lords will over my life. Read Genesis 22:1-14 very slowly. It is time for you to offer up to God the very thing that you love the most, this is deep in your heart. No one else know what it is but God. Bind it and lay it on the altar on the wood and slay it. The LORD HIMSELF will provide the true replacement of what you are giving up. He will replace it with HIMSELF. It will be painful, but do it. He is requiring the thing we love the most. The power is in the word “OFFER” 5927 Strong’s concordance it means to ascend up, lift up, come up. Hebrew “alah” feminine form is “Aliyah” lofty. He wants you to lift up and give him the that thing you love the most, your greatest need that only you know. The thing that has directed the course of your life, that weighs you down and keep you connected to earth instead of soaring in the spirit and seeing with the eagle eye. You have to believe GOD like Abraham did. Abraham said GOD HIMSELF would provide the sacrifice. We know he did that with Jesus. Believe he is more than enough to fill the place-thing you have as your greatest need. He wants to replace it with HIMSELF. That is why he is Jehovah Jireh, he knows exactly what he needs to do. HE is the substitution. You must trust him. But the difference is he will not stop you from putting it on the altar. You will slay it by an act of your will and by faith through your HIGH PRIEST JESUS. GOD simply wants you to put it on the altar. He will bind the the wound and fill the empty place and there will be know scar. Instead you will erect a memorial of worship. God was pleased because Abraham did not withhold the thing that he loved the most from God. This is the most powerful aspect of worship. Please excuse any typos you find! I don’t know which post it was that you were asking me about seasons but what I can say to you my sister is that the seasons are calling forth for a serious quickening right now. God is calling forth for obedience in this season. There will be a shifting and those that are able to discern His voice when He calls out to them will be lead to move into the next phase of their lives. It may also mean dropping off everything that you had in your last season in order to move into the new. the old wine skin cannot be carried into the new place and destination that God has for His people in this season. There will be a pulling of those that have walked around the mountain for 40 years to keep people in the same cycle of insanity but God is calling forth a Caleb anointing on those who want to escape the 40 year curse of never entering into the land of promise to go forth and possess the lands that He will show His people if they obey. The secret in this season is obedience. God will ask us to do ridiculous things in this season but what He asks for is complete trust in the crazy commands and requests to test our obedience.\ since His ways are not our ways and His thoughts are higher and greater than our thoughts. Just like Moses who had to stretch out his Rod, the Lord will ask of us to do similar things without question. Those that question God will miss out on the blessing that awaits them on the other side had they just decided to trust Him. hold some nuggets for what to look out for in this turning season that we are entering into. I hope that this helps and bless your spirit. God bless you sis! Just like Job who lost everything in one season, God this year will restore double for His people’s trouble in this year of 2014. Those that took away from His people will receive double the trouble in their lives if they do not make it right with their brother and sister this year as a warning. God is about about double the perfection this year since 14 has two sevens, and seven means divine perfection, this year is about doubling the perfect will of God for His people’s lives this year. Hope this blesses your spirit today. Sis, Stay up on the summit and stay in your tower! 6822 tsaphah tsaw-faw’ a primitive root; properly, to lean forward, i.e. to peer into the distance; by implication, to observe, await:– behold, espy, look up (well), wait for, (keep the) watch(-man). Continue to lean forward and peer into the distance. I will continue to say in my Tower. Thank you for the encouragement. before I even came here God told me exactly what you laid out here for the Watchman he has called and will continue to call. He used these scriptures and told me that a Watchman is a high calling, a prophetic intercessor with special access to him. Those scriptures state emphatically that God desires intercessors and watchman have been set to do just that… to give God no rest until he establishes his plans and will! Sorry bout the long post, but I felt it necessary to actually include the scripture there. Bless you! These are indeed very good scriptures that support what the Watchman’s duty is about. Thanks Bryan for sharing these. May God be with you as you watch and pray and pray and watch. I love it, love it, love it. I am presently studying for an assignment. This info has been a blessing to me. Also, it has enlightened me to the point of being determined to keep on doing just what I’m doing. It’s good to know that there are others whom the Holy Spirit speaks to in a similar way. This is how we know that this moving has to be God. Thank you for sharing and I will be back. Thank you for allowing God to use you. My prayer is that He will continue to bless you in you life, your ministry to thrive and explode with His anointing. May your house and those connected to you be blessed in health, wealth, and prosperity. I decree a Psalms 91 covering over you and those who are connected to you. In Jesus Name..
Hi Evandttblack, I’m so glad that this post blessed your Spirit. Keep on keeping on with the good fight of faith. I’ll be keeping you in prayer sis. God bless. It is such a blessing to be on this thread and read the comments from other prophetic watchman. Truly this is a place where Eagles gather. When someone makes a comment on the thread it comes to my email to remind me of who I am in Him. May God Richly Bless you Nightshade130, continue to steward this powerful gift. Great post! I’m a few years late but thankful that I came across a post that explains being a watchman in such great detail. 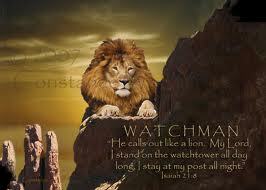 I know for sure that I am a watchman!